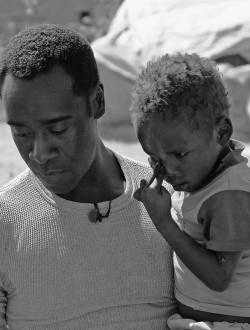 Don Cheadle is one of America’s most acclaimed actors. He was nominated for an academy award for his portrayal of Paul Rusesabagina in Hotel Rwanda. His film credits include Traffic, Crash, Ocean’s Eleven, Twelve, and Thirteen. He has written for USA Today and the Wall Street Journal on Darfur with Prendergast. Cheadle lives in Los Angeles.